When I was in my instructor's dojo back in the '80s, we trained annually with the head of our parent organisation at his geiko and gashuku (intensive training courses and camps). During these our "headmaster" would often speak about the need to "transcend the physical" at some point in our martial journey. But he never really explained exactly what he meant by this. After a few years, and a few more gashuku, it became clear that he was speaking of some kind of "metaphysics": ie. something "supernatural" or "beyond our current scientific understanding". 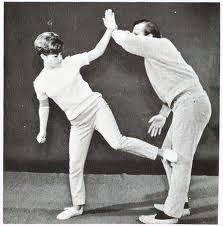 Yet whenever I observed our headmaster during training, there seemed nothing remotely "transcendent" about him: he did the same stuff we did, namely basics, kata, applications, weapons - just with the odd parlour trick thrown in (like the "unbendable arm"). In it, you will see what is the godan (5th dan) test for Masaaki Hatsumi's Bujinkan ninja school. It comprises testing whether or not the student being graded can "sense" that he's about to be struck with a padded wooden stick from behind. Psi - the "skill" being "tested"
Presumably this is not a test of whether the student can hear or feel the stick start to move. Even if it were, this would be a test of the known senses and reaction time: hardly a fair "godan test" since all of these have little to do with skill derived from training and a lot to do with how you're born. In addition, your senses and reaction time inevitably get worse with age. No, what this appears to be is a test of what is known as "psi" - a kind of paranormal phenomenon. Specifically, it is a test of what is known as "psi-gamma" - extra sensory perception or ESP (the other kind of psi is psi-kappa which is the term for telekinesis - moving things with your mind). So what's the deal with ESP? Is it a "phenomenon" still being treated seriously by the scientific community? The answer is, quite simply, no. The scientific consensus does not view psi as a real phenomenon. Scientists critical of parapsychology state that its extraordinary claims demand extraordinary evidence if they are to be taken seriously. Scientists who have evaluated parapsychology have written the entire body of evidence is of poor quality and not adequately controlled. In support of this view, critics cite instances of fraud, flawed studies, andcognitive biases (such as clustering illusion, availability error, confirmation bias, illusion of control, magical thinking, and the bias blind spot) as ways to explain parapsychological results. Research has also shown that people's desire to believe in paranormal phenomena causes them to discount strong evidence that it does not exist. To be honest, this makes me feel quite sad. I used to be quite optimistic that ESP and other paranormal phenomena would be proven to exist. I wanted them to exist. I found their potential existence exciting: I saw them as part of a world of unknowns; evidence of a limitless potential for the human mind which I saw as something "connected" to the rest of the universe in some esoteric way. Back in those days, I prided myself on being "open-minded". I disparaged those who were skeptical of paranormal phenomena as "narrow" in their thinking. Indeed, I saw them as almost obsessively cynical and antagonistic towards this thrilling area of investigation. This remained my mindset for the whole of the 70s and most of the 80s. I lapped up books like Lyall Watson's "Supernature" and Glen Barclay's "Mind Over Matter: Beyond the Bounds of Nature" (a book dealing with paranormal phenomena in the Oriental martial arts). I couldn't get enough of sensational, late-night television specials like "In Search of..." (narrated by Leonard Nimoy). Then I started studying psychology at university. And there I discovered the field of parapsychology. While this only comprised a small part of one unit in my course, I used my own time to look further into the journals and read the studies. What I found was disappointing to say the least: as the Wikipedia entry notes, the data did not then, and does not now, support the existence of any paranormal phenomena. Tests for ESP revealed results that were indistinguishable from random controls. I was also aware that around the world, parapsychology courses were being shut down. It seemed there had a been a prolonged period of parapsychological study, particularly during the Cold War. Bucket loads of money had been thrown at this research by both superpowers. But in the end there was nothing in it. As a result, by the mid '80s when I was trawling through the journals, government appetite for researching all things paranormal had more or less disappeared. The tests had been done, the results were in and paranormal phenomena hadn't been evidenced with even a remote degree of persuasion. No one wanted to throw good money after bad. So the whole "industry" - so popular in the '60s and '70s - was being shut down (as reflected in the movie Ghostbusters!). Since the 1980s, contemporary parapsychological research has waned considerably in the United States. Early research was considered inconclusive, and parapsychologists were faced with strong opposition from their academic colleagues. Some effects thought to be paranormal, for example the effects of Kirlian photography (thought by some to represent a human aura), disappeared under more stringent controls, leaving those avenues of research at dead-ends. Many university laboratories in the United States have closed, citing a lack of acceptance by mainstream science as the reason; the bulk of parapsychology research in the US is now confined to private institutions funded by private sources. After 28 years of research, Princeton Engineering Anomalies Research Laboratory (PEAR), which studied psychokinesis, closed in 2007. Okay, so why would anyone bother to test candidates for godan by reference to a "skill" that in all probability doesn't even exist (ie. for which there is no reliable or sufficient evidence - despite many years of testing)? 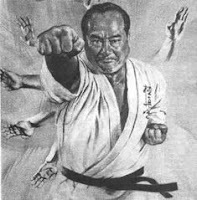 As I said before - it all comes down to some sort of belief that senior martial artists ought to be "transcending the physical". Remember that in the past, I too believed this. If anything, it seemed to me to be the ultimate purpose of the traditional martial arts. After all, if paranormal phenomena weren't true, why not just lift weights and condition your body? Why not just hit bags and do sparring and more sparring. 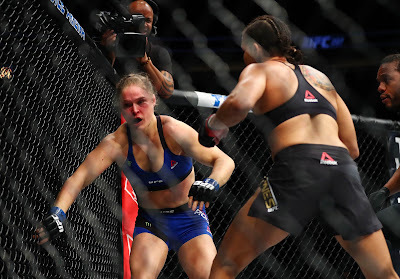 Why not stick to Western boxing and wrestling? After all, these things had a proven track record. By comparison, by the end of the mid-80s any veneer of "invincibility" attributed to the traditional Eastern arts was starting to crack. 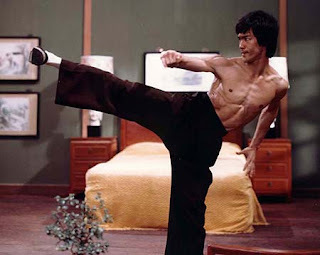 People were questioning its methods in a way that was unheard of in Bruce Lee's era, never mind Bruce Tegner's. 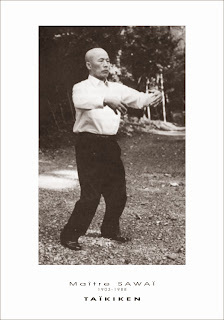 What the hell was the point in doing endless repetitions of esoteric Eastern basics and forms? They seemed so impractical and unrealistc. One answer was this: surely they trained your "mind" in some subtle way? Surely something in their "mystique" functioned to move you beyond "mere physical strength/speed"? Otherwise what was the point in all this "classical mess"? 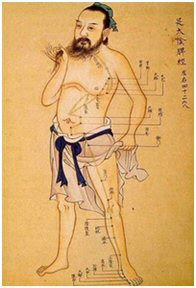 Back then, I imagined that "soft" or "internal" arts were synonymous with this sort of "transcendence of the physical". And lest I be judged too harshly for this, bear in mind that whenever someone talked to me about the internal arts, they used esoteric language like "chi/qi", "jin", "six harmonies" etc. - terms that left my understanding foggier than ever. No, if "softness" worked, it had to be a kind of "magic". And in those early days, this "magic" seemed to be the only thing promising to keep - indeed grow - my skill as my body peaked, then inexorably aged and slowed. Imagine my disappointment when I discovered that the sorts of paranormal skills I had assumed would one day be mine turned out to be nonexistent. 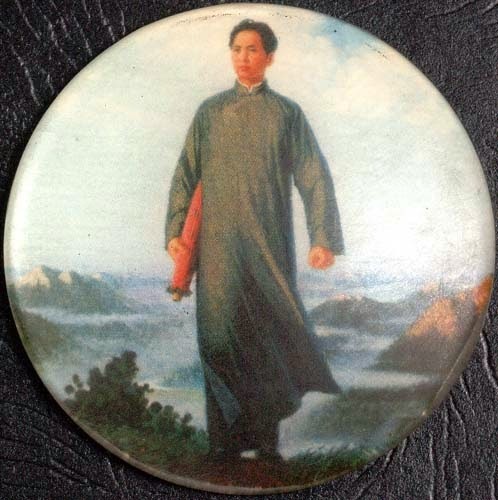 At around the time I was reading the parapsychology studies (and being disappointed by what I was discovering), my own teacher had left our former parent organisation and had travelled to Taiwan to study the internal arts under Hong Yi Xiang of Taipei. Gone were the vague references to "transcending the physical". Yet here was my teacher going to study the "soft" arts. Why? 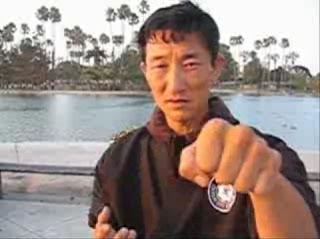 I remember going to his house in 1985/6 and watching The Way of the Warrior television episode featuring Hong (by then his teacher), as well as some of his private footage. I was mesmerised. Here was something "soft", yet practical and functional. It didn't "transcend physicality" so much as it "transcended brute physicality". It wasn't "mystical" so much as it was a sophisticated, ancient knowledge. It didn't give you "greater power" but rather enabled you use whatever power you had more efficiently and with greater accuracy. It was "advanced" only in the sense that it relied on a a very high level of skill and precision in order to work. It fought smarter, not harder - even if it did demand a certain mastery upfront as a minimum payment. "Softness", it seemed, was skill - a particular knowledge - not some "paranormal ability". And it was knowledge, not magic, that would give you "power" over the longer term - especially after you reached your physical peak. In this case, the technology might have been ancient - but it was still advanced. Which brings me back to the above "ESP test" again. Why do people still put stock in things like this? I think they might have seen something that looked like "magic". Maybe it was a genuinely efficient technique. Maybe it was just mentalism and/or self-deception. Maybe it was a combination of both - resulting from someone seeing something technically impressive then exaggerating the tale as it was passed into legend. And the "legend" needn't have been something that happened 100 years ago. 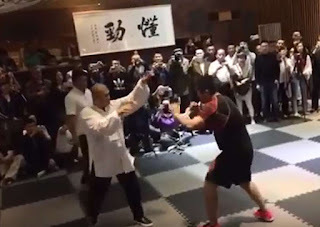 One of the most common responses I've had to my article on "woo woo" taijiquan has been: "You haven't experienced what I've experienced. If you had, you'd know that [paranormal phenomenon X] is real." My correspondents seem to call this "experiential evidence". I'm sure some of the people arguing on an "experiential" basis are just victims of mentalism and self-deception. Others have misapprehended what they've witnessed as a "paranormal" or "supernatural" event when it was no such thing. It's easy to see how this can happen. And it isn't helped if your instructor implies - or even explicitly states - that a particular result has been effected by "qi" or some such "energy". Consider the video below: something happened to my students in this video on an "experiential" level - I know this for sure. I am just not unscrupulous enough to exploit it by implying that I have special "powers". In truth, it's really just a matter of having a solid stance (what I call grounding), having the right postural and body alignment and knowing how to subtly direct his push downwards into my stance. This is not in the slightest bit "paranormal". And I tell my students so. It has to do with physical skill acquired over a lengthy period, involving effective body alignment/structure and efficient use of vectors. It also has to do with false assumptions people make about what they can expect pushing at a certain angle. I'm pretty sure however that many instructors wouldn't bat an eyelid at relabeling the above as something paranormal - or at least implying this in a more subtle way (which is, in some ways, much worse). If you want to see how you could be taken in by "experiential evidence" concerning ESP in particular, just watch this video by Derren Brown and imagine for a moment if he maintained he was using some sort of paranormal ability rather than mentalism. In fact, people can get the wrong idea no matter what a performer says. I was in Belgrade just this last October and saw an amazing private show (for family and friends) by one of Serbia's top illusionists/mentalists. At the conclusion, the performer described what he had done as "illusions". Yet one of my aunts still turned to me and said she was "disturbed" by his "powers". She maintained that what we'd seen was paranormal even after I successfully repeated one of the illusions (one I happen to know how to do). Nothing would convince her that "real magic" wasn't being used: the illusion was simply too strong. Some mentalists and their apologists go the opposite way. Or at least seem to. "[It doesn't] have anything to do with anything magical, mystical, or occult in nature. On the contrary, it simply involves understanding the natural abilities of the human mind, which were an integral part of the hunter/warrior mindset in more primitive times, but now tend to be either ignored or overlooked by people in modern societies." Yeah right. It's not "paranormal". It's just... something we can't pinpoint or understand with science - yet (ie. the very definition of "paranormal"). Sorry - that's just a circular statement. If you imply a "sixth sense" or some other "power/force/energy" presently unknown to science, you are necessarily implying something supernatural/paranormal. And this is something we might as well call "magic" or "occult, given the common use of the latter terms to account for "things unexplained". I hold it to be self-evident that arguments distinguishing these various words are merely semantic. "It's not magic. It's not, it's not, it's not!" Consider this by way of analogy: supposing I said: "My master can levitate - but only when others aren't around to affect his concentration." I could add: "And it's not magic - it's science we've yet to discover." The last statement is just begging the question (assuming the conclusion) - both that he can levitate and that this is consistent with physics. And I've still offered no evidence of this supposed levitation. Make no mistake - something like levitation would be "magic", despite any "relabeling" by me. The same would apply to ESP or any number of other "paranormal" martial phenomena. "Relabeling" is just a kind of desperate attempt to redeem that which is irredeemable - via word play. But why would anyone be that desperate? What I find most interesting isn't the human propensity to be manipulated - but rather our propensity to stay manipulated. 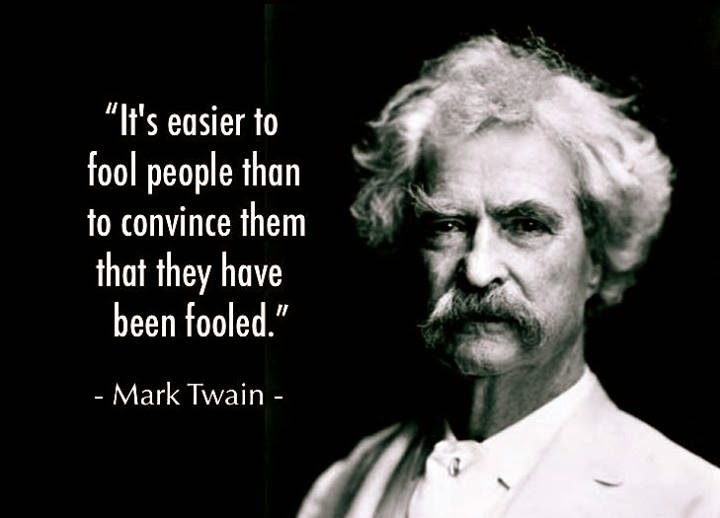 As Mark Twain famously said: "It's easier to fool people than it is to convince them that they have been fooled." I've found it fascinating how many people will argue till they are blue in the face that there is compelling evidence of psi or other paranormal phenomena. When confronted with the lack of data they counter with references to discredited former academics with no studies but a lot of verbiage. * Failing that, they allege conspiracy in the scientific world. And, when all that fails, they fall back on their "experiential evidence" - despite the fact that they know perfectly well that Derren Brown could give them an experience that was 100 times more impressive, yet assure them it was 100% illusion. A large part of this is wishful thinking. I know how it feels: for a long time I really wanted paranormal phenomena to be true. In most respects, I still do. It would be wonderful! 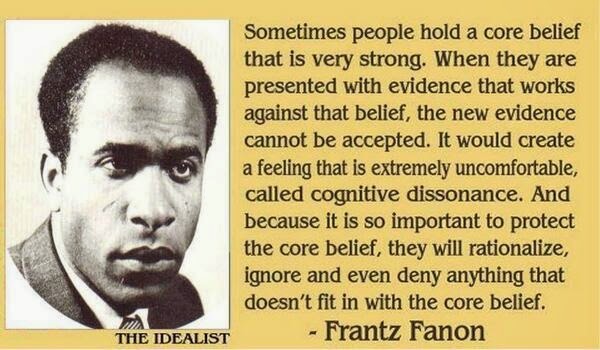 Another part is cognitive dissonance: the inability to reconcile new information with long-held beliefs. I can see every reason for someone who has participated in a "godan test" of the kind shown at the start of this article to respond quite vehemently to this article. After all, they've made quite an investment - not only in money but most certainly in time and effort over many years. How hard would it be to accept that you've been misled - or have been misleading yourself - for all that time? In psychological terms it would be much easier to forge onwards than admit the mistake. As Søren Kierkegaard noted, the patterns of the past, however destructive or detrimental, are often preferred to the uncertainty of change. This is particularly true when the change requires an admission to oneself (and others) of wasted time, effort and money. If you try enough times you will get some "successes". It is clear that the video is selective by its very nature. It does not purport to show every single instance of the test. It shows some successes and some failures. Clearly these have been selected and cannot be indicative of anything other than that selection. They certainly don't provide any form of "evidence". If the test is a "try until you get it right" (which I highly suspect), then it's guaranteed to provide a pass at some point. The truth of the matter is that this test would only provide a reliable indicator of "psi" if you could get it right consistently over a statistically significant number of attempts. I very much doubt that is what is happening here. The simplest explanation would have to be that people who have cognitive dissonance are self-confirming something that they desperately want to believe. And there is no good reason to believe that this "test" is of any worth at all in a martial sense. 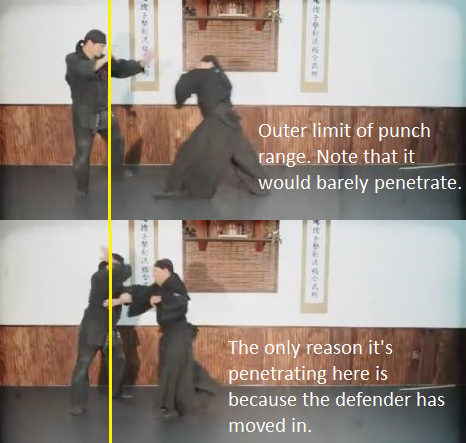 Consider that even if they had some ability in psi and this test was an accurate measure, it would only be of use as a test of martial ability if the practitioners had mastered their physicality generally. I hold it to be rather obvious that being aware of someone behind you is hardly important compared to knowing how to cope with someone who is in front of you and trying to knock your head off. In other words, even if the psi skill is real, it isn't an appropriate basis for a godan test. Not unless the students have pretty much mastered everything else. I don't know about you, but that's not the impression I get looking at the students who are grading. By way of comparison, I can repeat my "grounding skill" with anyone - to some level of evidence. Hatsumi and his godans could all have a go. I know they would find my 65kg body surprisingly hard to shift (I doubt very much they would allow me to test their "psi"). And yet "grounding" isn't something I have ever sought to place as the centrepiece requirement for godan or any other grade. While I think grounding is important, I also thing it's still only a very small part of martial skill. It is no basis for "grading" - certainly not on its own. In order to have it front and centre of a test, I'd have to be fairly sure that everything else in the curriculum had been mastered. I don't think I'll ever have that confidence in myself or anyone else for that matter. And last, but not least, let's assume, for argument's sake, that the participants in the test really are "sensing" something. If that truly is the case, would it be fair, in any way, shape or form, to attribute this to ninjutsu? Given that most ninjas I've spoken to admit that they don't do any specific training to develop "extra sensory skills", might it be that some people are just more innately "sensory" than others? Might any "skill" in this area derive from training or experience outside the ninja dojo? It's often said that soldiers from war zones tend to sense danger cues far more keenly than their civilian counterparts - and their high stress experience would certainly have some responsibility for this. By contrast, let's examine the typical training of the ninja: by my observations it is based, almost exclusively, on "standing start" drills - usually against zombie attackers who are out of range, use slow step-through lunge punches and offer no real resistance. As I explained in my article, there is nothing wrong with standing start drills or step through punches. There's even nothing wrong with doing things slowly (especially at first). But one must be cognisant of the limitations of these training methods. In this case, how on earth could this sort of training be expected to produce a soldier's hyper vigilance? Accordingly if, as I surmise, ninjutsu training actually has nothing to do with the "extra sensory skill" being tested, why is the latter the (sole?) arbiter of one's mastery of ninjutsu? Godan is, after all, the level at which one is acknowledged to be a "master" (at least to some extent - it is a senior level by any measure). Why would some sensory ability - either innate or developed elsewhere than in the dojo - determine ninjutsu mastery? The concept makes no sense at all. I've previously opined that there is "magic in the small things". By this I mean that the sorts of things that we can sit and watch in awe really come down to discrete physical skills. The fact that these skills can be quite subtle to effect doesn't change the fact that they are physical. I've come to view the statement "transcending the physical" as only having validity in the sense of "transcending brute force". 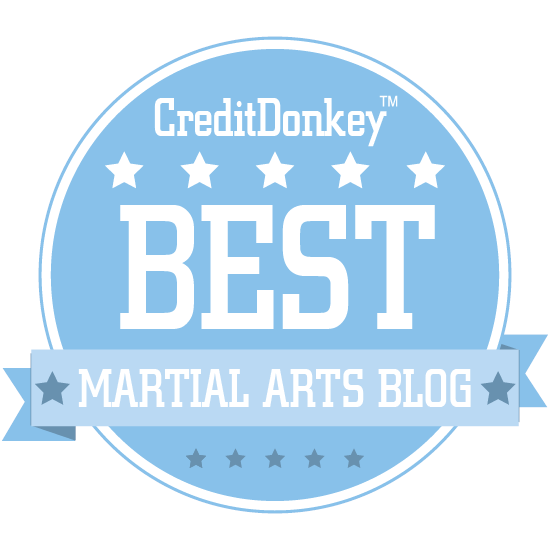 "Soft" martial arts skill is evidence of sensitivity and optimal reflexive response - an ability to use refined, efficient movement at a time when your opponent is at his weakest and you are strongest. 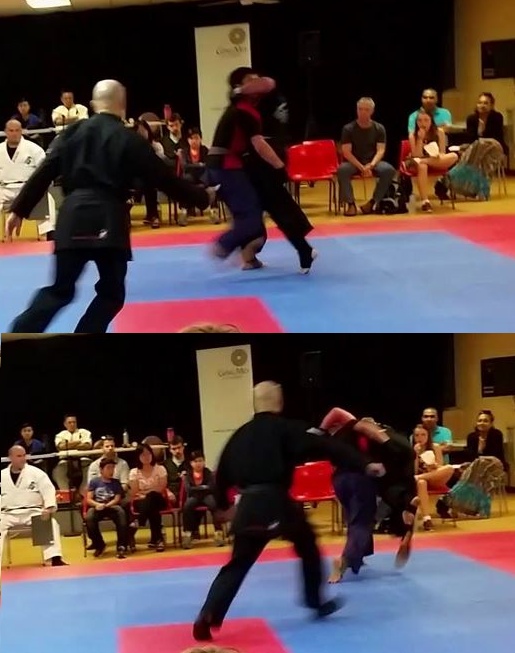 I was proud to see my student Rob using this sort of principle to pick up and throw his stronger, heavier (by at least 12kg) opponent out of the "ring" on Saturday night. He was using "soft" principles. Not brute force. So if any of you want "magic" in your martial arts, don't go looking for it in "qi" or "ESP" or something "unexplained". You'll be looking for a "shortcut" - an "easy way". In martial arts there's no such thing. Instead, look for it in technique that makes something difficult look easy. Look for it in skill, not in parlour trickery. I've had someone say to me recently that he was "vaguely disturbed" by my "negativity" at "a power I've never experienced". This is really shades of Darth Vader's words: "I find your lack of faith... disturbing." Let me put it this way: I'm "vaguely disturbed" by his condescension and assumptions about what I've studied and experienced. Let me assure you that I'm more than happy to revisit the area of ESP and other paranormal phenomena the moment I see the faintest reason to do so. Just a hint of possibility would suit me - just a bit of ambiguity in the data. I'd love that and happily go back to investigating this phenomenon. I don't require "absolute proof" as some people suggest. Sadly, the results have been in for decades and seem quite conclusive in their randomness. I'm not expecting any new developments, although I'd be happy if there were any. * Most people with whom I've debated ESP and psi point to Rupert Sheldrake who has long championed his own conjecture he calls "morphic resonance" as a kind of explanation for psi. Importantly, his conjecture is not falsifiable and accordingly there is no data that would support it. While being a trained biologist, Sheldrake's many books on "morphic resonance" are merely statements of his ideas - not scientific studies, reports or analyses. He has not occupied any academic position since the 1980s. Needless to say, his conjectures have had no traction in the scientific community. Personally I'd want to have some data to support the existence of a "phenomenon" before I started "explaining how it works". 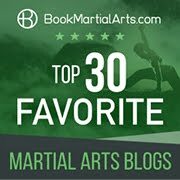 Are you stuck in basic karate/gongfu? The fundamental problem with karate?